Date: 27th - 29th January 2009. 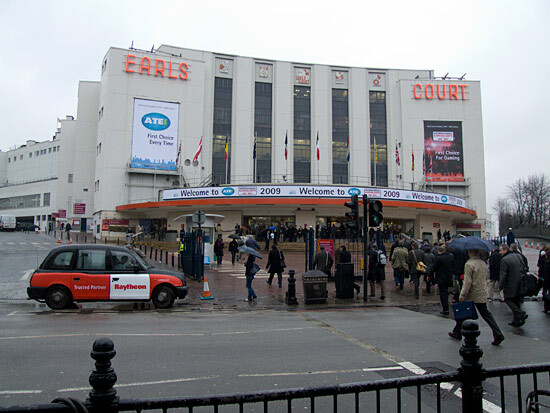 Location: Earl's Court Exhibition Centre, Warwick Road, Earl's Court, London, UK. 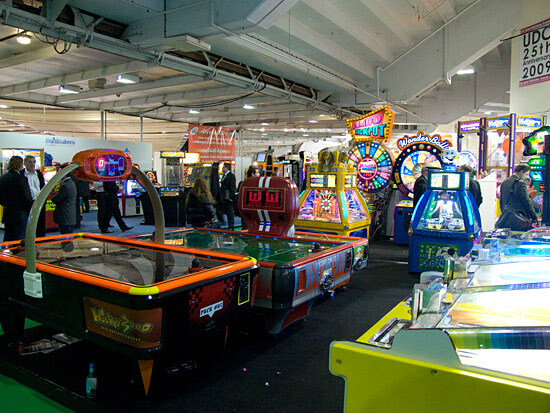 The UK's largest amusement and gaming shows took place this week as usual at Earl's Court Exhibion Centre in west London. 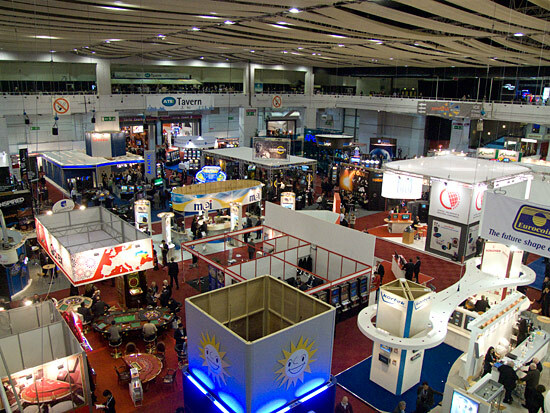 The building houses two shows; the ATEI (Amusement Trades Exhibition International) which deals with amusement machines, supplies and low value slots, while the ICE (International Casino Exhibition) covers the more serious gaming and gambling side of things. The two events are on two different floors. ATEI is upstairs in the main Earl's Court 1 hall. ICE is downstairs and also spreads out into Earl's Court 2. ICE is clearly the much larger show now although that didn't use to be the case. ICE used to be upstairs in the smaller area but the growth of video slots has left some of the companies more in the gambling sector than the amusement one. The venue was noticeably quieter than in previous years. The first day's numbers were considerably lower but things picked up on the second. Even so, it was never crowded and finding a free video or slot machine to play was never a problem. But we're here for the pinball and that means our first stop is the UK's distributor for Stern, Electrocoin. Their stand featured three games - two CSIs and a Batman. 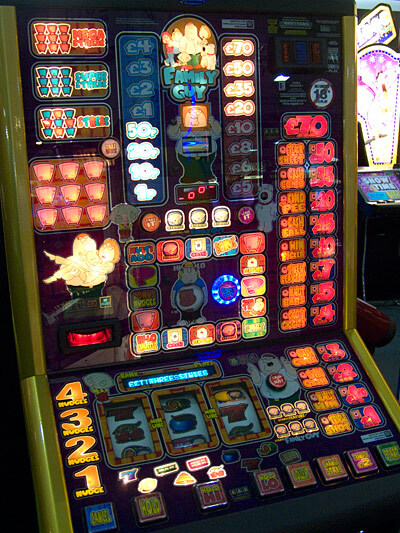 These machines received a steady flow of players but there were rarely more than a couple of people waiting to play. Gary Stern was here too, spreading the good word about his current products. 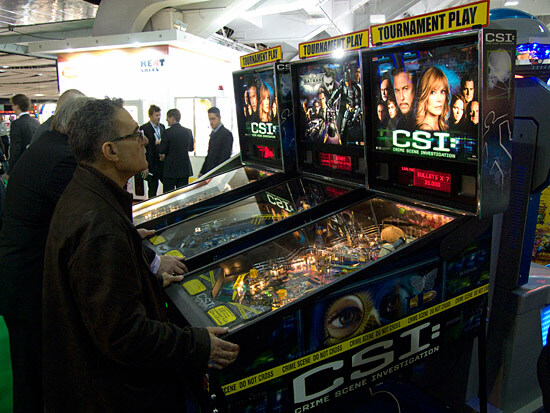 We enjoyed a couple of plays of CSI before moving on to find out what other pinball-related items we could find. Unfortunately, there were relatively few. Perhaps the nearest thing to a pinball we could find was this horse racing redemption game on the Crompton stand. 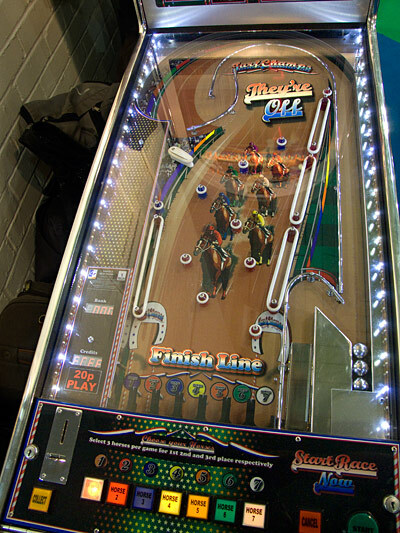 Turf Champs looks a little like a pinball but plays more like a bingo. Three balls are stacked in the shooter lane and there are seven lanes at the bottom of the playfield for them to drop into. When the game begins you have to predict which lanes will receive the three balls and in what order they will arrive. Once your bets are made the three balls are kicked up to the top of the playfield, making their way down into the seven lanes. Get the lanes, the order or both correct and the machine spews out tickets. 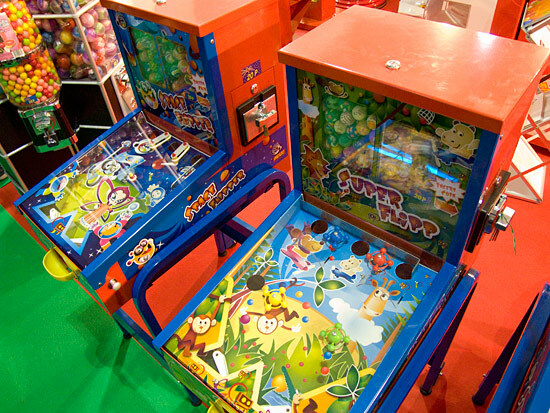 The mini flipper on the left side appeared to be for show only. While pinball has eschewed the use of LCD or plasma video displays to stick with the dot matrix variety, pinball's cousin Bingo has taken the technology on board with two new models from Splin. Their Montana De Luxe model uses a large flat panel display in the backbox to replace the numerous LEDs they used previously. The layout is broadly similar to the older model to ensure its appeal to seasoned players but it open up lots of opportunities for different types of games and features. 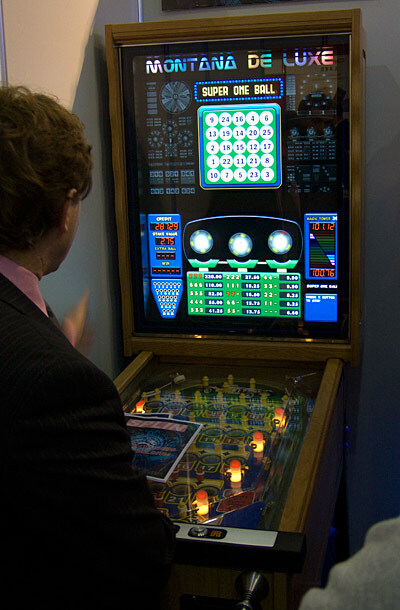 The use of flat panels is continued in Splin's arcade-style upright bingo. 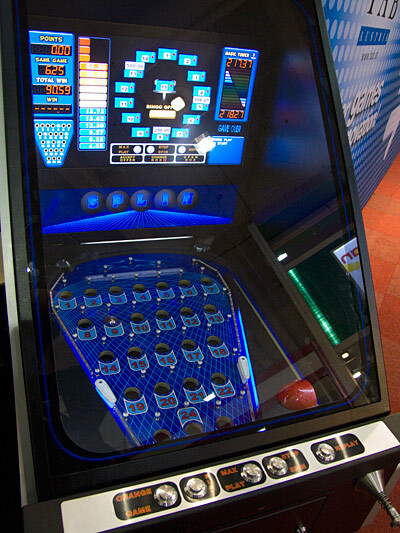 This includes two mini-flippers and a number of different game styles in a glass fronted upright cabinet. As usual there were the assorted mini-pinball gumball or capsule dispensers such as these Space Flipper and Super Flipp machines. 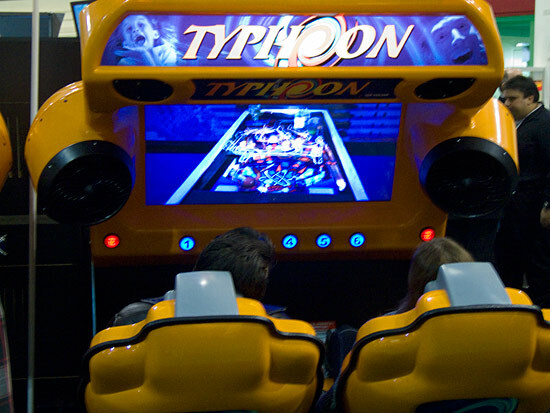 Moving from the smallest pinball to the largest, Sega were demonstrating a number of simulator rides including this Typhoon model. 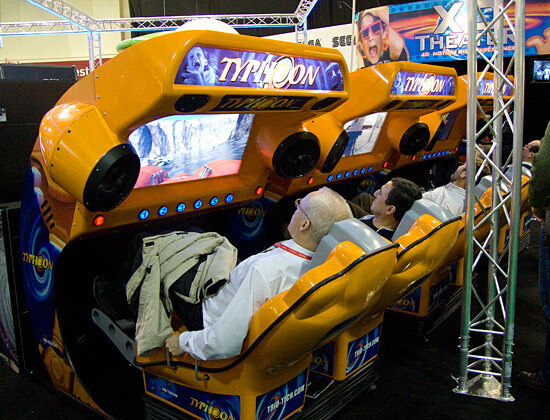 This sit/lie model includes fans to enhance the feeling of motion and a range of different rides, one of which was a pinball game. The ride put the player in the ball's position, shooting them around a virtual playfield in a three ball game which includes a Martian Multiball mode. It was fun for a while but ultimately quite repetitive which is probably why they include six different rides. 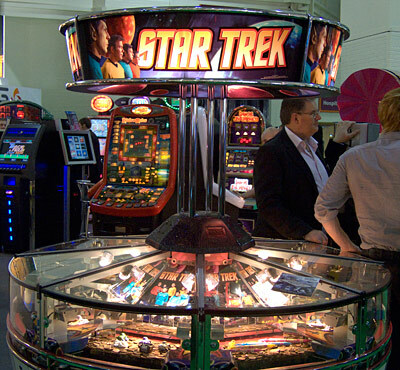 Themes used in pinball were in evidence all over the two shows. Indiana Jones was a big theme the the gaming hall but it was Star Wars that seemed to pop up on slot machines everywhere. Although everyone wanted the newest version of these themes, there was still room left for the original cast members of one classic licence to make an appearance in this pusher. Family Guy was a popular licence for Stern but it has also been turned into a slot machine in this model from Bell-Fruit Games. It's packed full of features including a "Deal Or No Deal" type Family Guy mode. The music seemed a bit strange though and many of the same quotes used in the pinball game pop up from time to time. That brings us to the end of this look at ATEI 2009. There was a noticeable lack of video pinball games such as UltraPin or TAB's Virtual Pinball. Tab have moved away from Virtual Pinball towards large video table touchscreen multi-games. 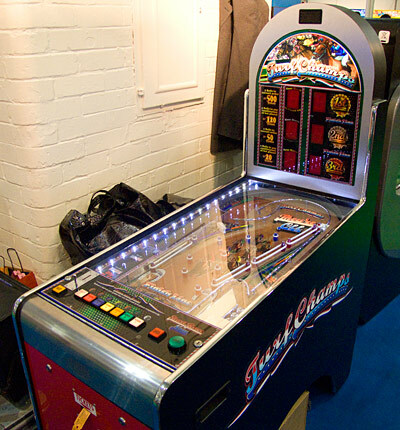 Although Virtual Pinball can still be ordered, there's been no further development and none were on display at the show. There were no pinball-themed slots (reel or video) this time but at least Gary Stern was there to make sure pinball was still visible and being enjoyed.